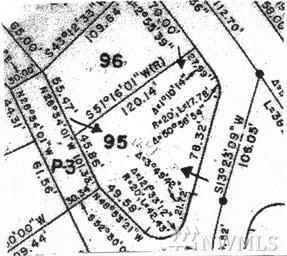 Very large corner lot in Gate #5. You could build home off of Shetland or Tumbling Water. Enjoy all of Sudden Valley amenities, trails, beaches, water access to Lake Whatcom, 18 hole golf course, tennis courts, 24/7 security.Have the best of both worlds, live in a beautiful wooded community but only 15 minutes to the city of Bellingham and interstate #5.